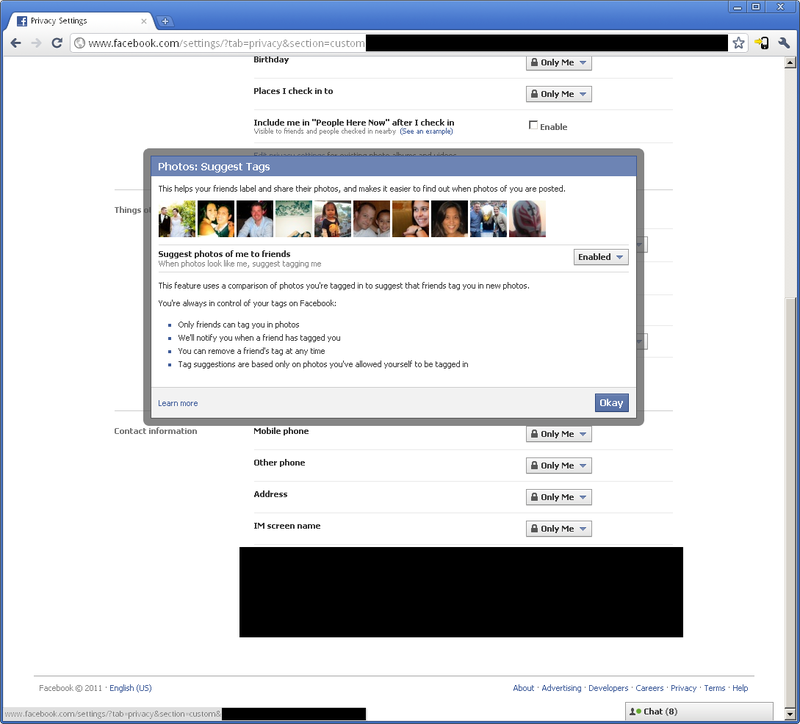 Facial recognition on Facebook is now live. The default setting is "Enabled." A month ago I noticed the option for automatic facial recognition was coming soon. That time is now! If you are like me and have customized settings enabled on Facebook, you can easily manage this feature. To manage these settings follow the steps below. Visit Privacy Settings on Facebook: Account > Privacy Settings. Assuming you use Custom settings, select Customize settings. Scroll to the section Things others share. Find Suggest photos of me to friends (When photos look like me, suggest my name) and hit the Edit Settings button. You will be given the option to enable/disable like the screenshot below.